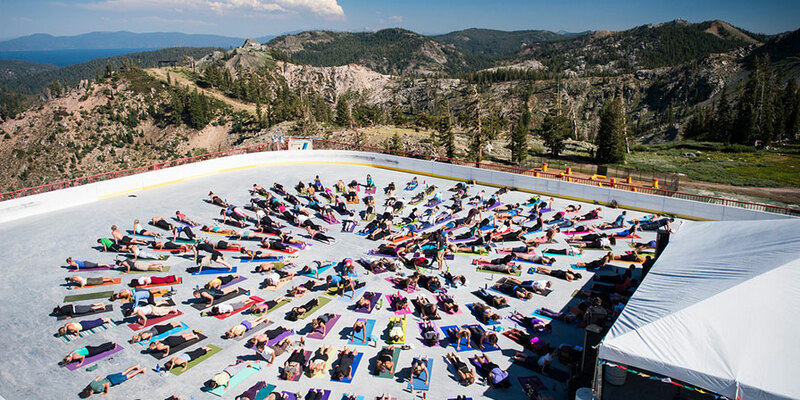 For the Serious Yoga Lovers, Don’t Miss These Festivals: The annual Wanderlust Festival, which began at Squaw Valley Alpine Meadows, is the largest yoga, health and wellness festival in the world. Here, you can enjoy unique yoga experiences, live music, outdoor adventure, workshops and healthy fare. Guests can also take yoga classes at the Wanderlust Yoga Room in the Village at Squaw year-round. Yoga with A Water View: Sea Dog Yoga offers a fun way to experience a class by combining yoga with stand-up paddle boarding. The goal is to immerse participants in the surrounding natural marine environment and to foster a deeper sense of self through yoga asana. Instruction in stand-up paddle boarding is provided. 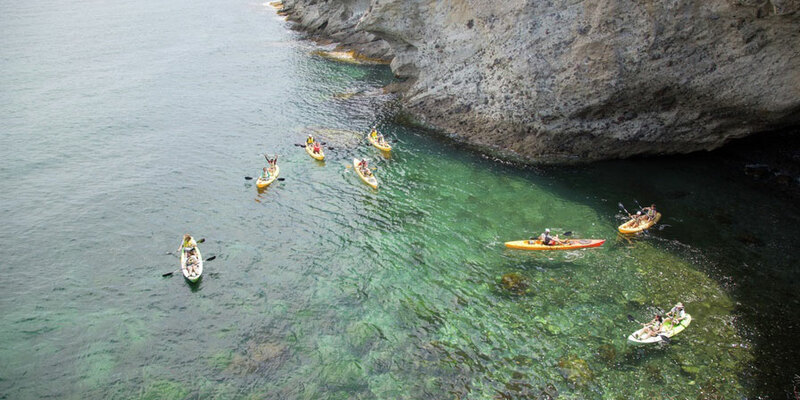 Island Spa Catalina offers monthly KA-Yoga (kayaking and yoga) and YOKE (yoga and hiking) excursions, inviting participants to embrace the power of yoga while experiencing the beauty of Catalina Island. Excursions start at $189 per person and include roundtrip boat transportation from the mainland and access to the spa’s amenities after yoga. Amenities include a soaking pool, ocean view relaxation deck, eucalyptus steam room, sauna and more. Yoga for Wine Lovers: Boeger Winery hosts a series of Sunday morning yoga sessions in their peaceful and picturesque winery. Fun for all levels from beginner to advanced, Boeger offers an all-levels Hatha Yoga class designed to create space and flexibility in the body and mind. The class is $25 per person, and ends with a glass of wine and light seasonal bites. Yoga with A Twist: Rise and shine to yoga nearly 1,000 feet above Los Angeles with stunning city views. Visitors can experience Sunrise Yoga at OUE Sky Space in downtown Los Angeles. This is California’s tallest open-air observation deck and the premiere destination for panoramic, 360-degree views of Los Angeles. Attending Sunrise Yoga will also grant guests access to all levels of Skyspace LA, and unlimited skyslide rides (following the yoga class). Yoga Under the Stars: The Ritz-Carlton Spa in Rancho Mirage is offering a sensory outdoor detox at sunset with its new Serenity Under the Stars yoga class. Coinciding with the fading sunlight so guests can experience the beaming sunset colors over the Santa Rosa Mountain Ranges and surrounding gorgeous landscapes, the class offers complimentary yoga mats and bottled waters on the beautiful Vista Lawn for guest every Saturday evening when weather permits. Experienced instructors guide the class while guests watch the night sky flourish into a canvas of brilliant stars.